Travian Kingdoms is one of the best multi-player strategy games for your browser! SEE WHAT LIES AHEAD IN TRAVIAN KINGDOMS! Join a game round lasting 6 months and try your best – only the strongest will make it to the top. 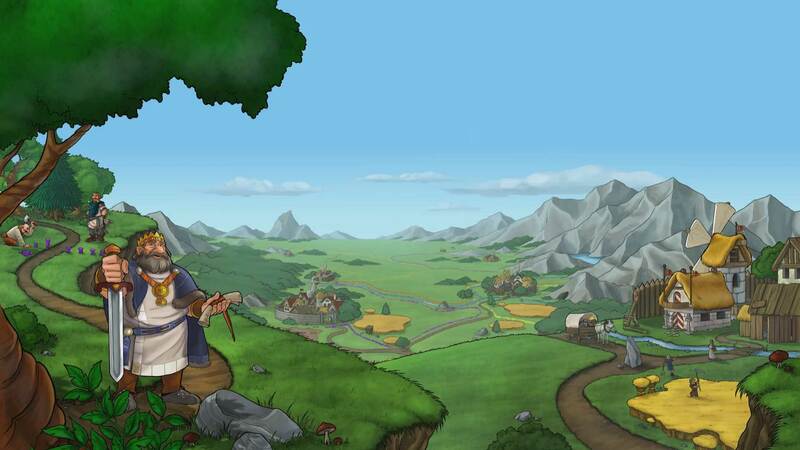 Discover the world of Travian Kingdoms. May your journey lead you to power and glory! Found your second village and expand your influence in the early stages of your empire. Empower your villages. The choice is yours: Convert them into mighty cities or grow your strength in numbers with many villages. War is coming – train your troops and be prepared to defend your empire! Valuable treasures will decide over the rise and fall of your kingdom – collect as many as possible and protect them! The mysterious Natar tribe will appear and with them, the seven Wonders of the World – conquer and upgrade them to win! Your task will be to complete the Wonder of the World! Only the most powerful kingdoms can achieve this and thereby dominate the world of Travian! Gather resources, collect tributes and trade with other players. Upgrade your villages to cities, improve your army and hold celebrations to keep your citizens happy. Forge kingdoms, attack robbers and steal treasures. Travian Kingdoms takes place in an ancient world. As the leader of a local tribe, your mission is to create a better future for your people. Choose to be either king or governor and coordinate your strategy with other players to control resources, armies and territory. Only few will survive long enough to rule the world. Will you be one of them? © 2019 Travian Games GmbH. All rights reserved.